Contact Zones are social spaces of engagement. Join us for this new speaker series from the Library Diversity Committee that will bring together community leaders and experts to help us navigate issues of equity, diversity, and inclusion. For our inaugural installment, learn from the experiences and projects of UCLA’s first Activists-in-Residence. Hear their tips and advice on how to create a more diverse and inclusive environment at UCLA. Held in the YRL Main Conference Room. Refreshments provided. Funmilola Fagbamila is the Activist-in-Residence at the Institute on Inequality and Democracy at UCLA and a Professor of Pan African Studies at Cal State Los Angeles. 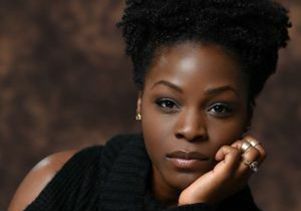 In 2015, Funmilola was honored by the Black Community, Clergy and Labor Alliance for her commendable activist scholarship, service and struggle. She frequently sits on community panels regarding police brutality, criminal justice, arts activism, and overall wellness in black communities; most recently presenting at the Congressional Black Caucus Foundation's Annual Legislative Conference. 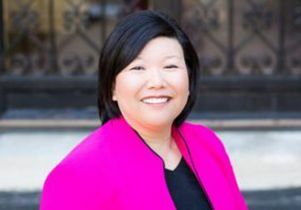 Lisa Hasegawa is an Activist-In-Residence at the UCLA Asian American Studies Center focused on connecting students and faculty with racial justice and organizing leaders in the AAPI community. Prior to coming back to UCLA, she lived in Washington DC and served for fifteen years as the Executive Director of the National Coalition for Asian Pacific American Community Development (National CAPACD), the first national advocacy organization dedicated to meeting the housing and community development needs of low-income Asian American and Pacific Islander (AAPI) communities. She currently serves on the boards of the Local Initiatives Support Corporation (LISC), Progressive Congress, and the National Low Income Housing Coalition. Prior to National CAPACD, Lisa was the Community Liaison for the White House Initiative on AAPIs where she worked to involve and inform AAPI community groups across the country about Initiative activities. She also worked for the U.S. Department of Health and Human Services, Health Resources and Services Administration and the Office of Minority Health. Lisa previously worked at two community health centers serving low-income AAPIs in Los Angeles and Oakland, California. She is a fourth generation Japanese American from California, and is a graduate of the University of California, Los Angeles, and the Harvard School of Public Health. RSVP preferred but not required. This is a free event open to all audiences.